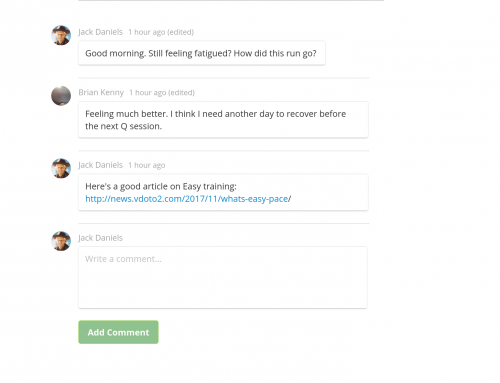 Coaches can now add video content to a workout online at VDOTO2.com. 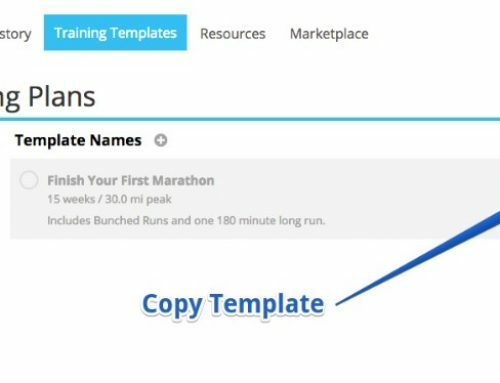 Videos can be added to any Activity or a Rest Day, and via an Athlete’s calendar, Group Staging or when saving a training template. Coaches can add more than one video while editing a workout. 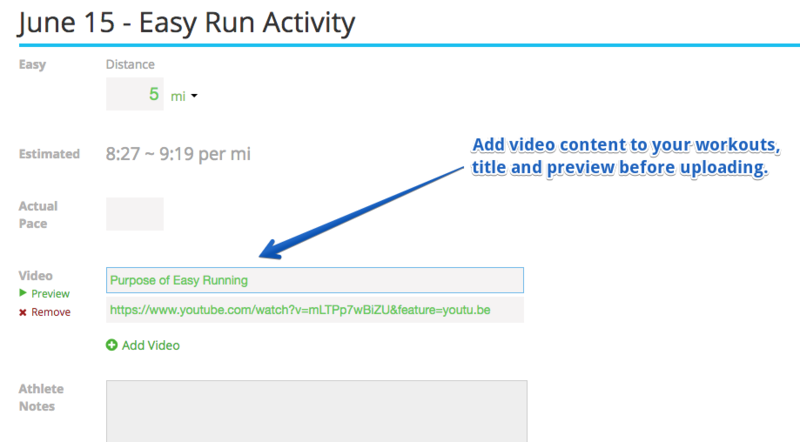 They can also link to videos on any platform, preview before publishing to their athlete’s calendar, and title the video. 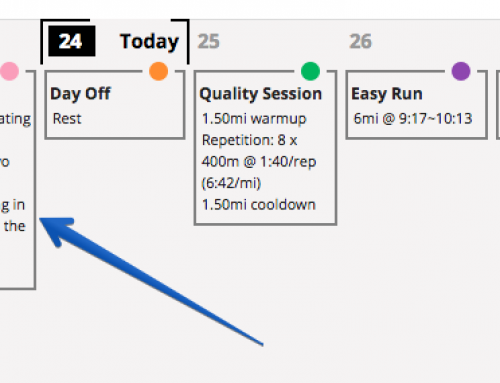 [Please note: Only coaches can add videos to a workout] We encourage coaches to take advantage of this new feature to help with engagement and ensure athletes are getting the most out of their training. 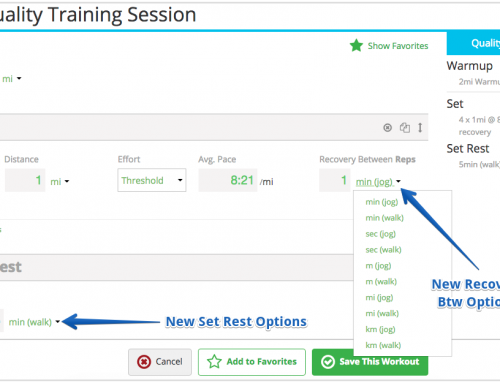 Athletes will see a video icon appear attached to the workout to let them know you’ve added video content with their training. 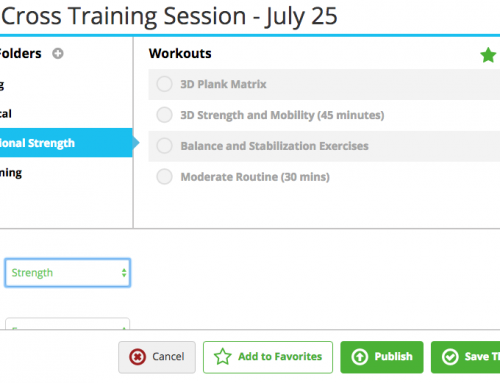 When they click the workout they will see a link to view the video at the top of their scheduled training on both the native and web app versions. 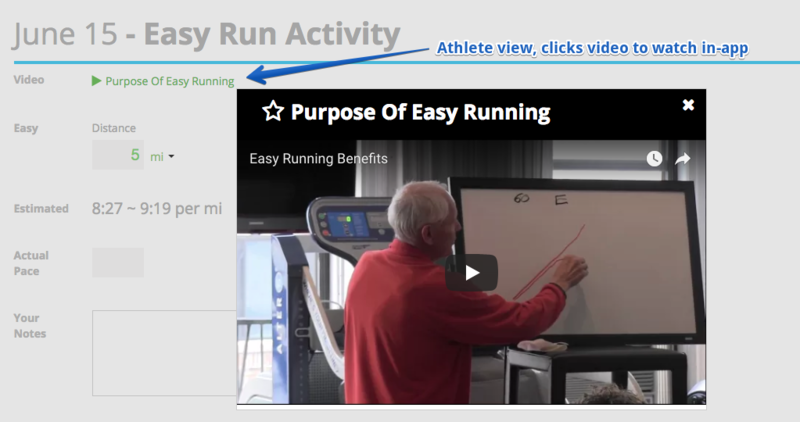 Athletes can then click to view the video in-app online (see below). On the native app the video link will take them to watch the video on their default browser.